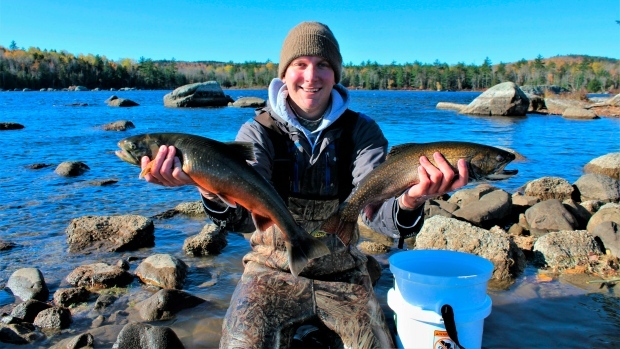 PORTLAND, Maine -- Scientists in Maine are using DNA to try to preserve the remaining populations of a fish that lives in 14 lakes and ponds in the state and nowhere else in the continental United States. The project to collect their DNA in Maine launched in 2017, and is expected to continue through this summer, said Brad Erdman, a University of Maine ecology graduate student who is working on it. A local chapter of Trout Unlimited, an environmental non-profit, is working on the project using grant money provided by the organization's Embrace-A-Stream fund.